I think that I feel something similar at the end of every project as I step up to the ‘void’ in an attempt to perceive whether anything musical appears. I don’t worry anymore — I just trust that it will. I can’t mention Battlestar Gallactica without paying respect to the music of Bear McCreary, whose score haunts me (in a good way). Bear’s ‘cues’ make a great series superb, and vocalist Raya Yarbrough is breathtaking as she sings in what may be Sanskrit. Remembering Monte Zucker … Again. Anyway, as I return to the studio for another album that features the Native American-style flute with some orchestrated accompaniment, I find myself thinking again of my late photographic mentor, Monte Zucker. I am not alone in this pass-time. Most of the people who met Monte mention him as often as possible. I am just one of the more recent devotees. Great photographers like Clay Blackmore, Hanson Fong, Robert Lino, Joe Bruch and Michele Gauger have much more time-in-grade in their affection for Monte. One of the highlights of the second half of my life was studying location photography with Monte in the Yucatan. I don’t think that in the hours outside the photographic intensive that we ever talked about photography. We would joke and chat about love and relationships and the things that we found important at the time. So, as I remember Monte with affection, the music turns sweet and perhaps a little exotic. In Scottsdale (the last time I saw him), he was soon about to learn that he was dying of pancreatic cancer. I thought something was wrong – he seemed tired and swollen. But all he could talk about was being in love! And love runs through the tracks of this album. Like many people who play the Native American-style flute (or guitars for that matter), I have inadvertently become a sort of collector of the instruments. After obtaining a number of must-have items, we look for something perhaps more exotic or unique. Growing up, my friends and I could think of nothing more important than owning a Gibson ES-335 guitar. It wasn’t quite as cool as Chuck Berry’s ES-345 stereo guitar, but it was just as unapproachable. We scoured the pawn shops in Los Angeles on the improbable chance of finding one, but in the end would have to settle for something less dear. When I was older and more flush, I got my ES-335 and loved it for a few years, but I found that by that time, my guitar-playing style was served well by a Fender Stratocaster and later, the Fender Telecaster. I wasn’t particularly looking for country twang, but a chain of events including befriending a guitar virtuoso from Tennessee and filling-in on a country music bandstand for a vacationing Oklahoman lead guitarist sent me down a road that led to Fender if not more. All-in-all, the “Querida” album, along with the last (“In Another World”) have been made during a period of rest and relaxation. The music to me presents itself with more hope mixed in with longing than an album such as “Seeking Balance,” which is filled with plaintive flute calls that ask musical ‘questions’ without waiting for or expecting the answers. 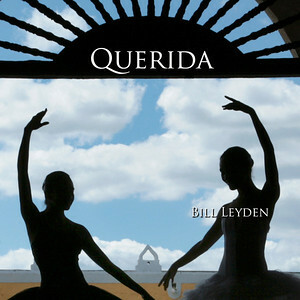 I plan to release “Querida” on February 14, 2013. 1. Cezannesque – Fm Black Walnut Flute by JP Gomez, Vocal by Neysa (with special thanks). 2. Princessa – Low Dm Lacewood Flute by Geoffrey Ellis. 3. Drift Away – “Deep Blue C” Diatonic Scale Flute by Steven DeRuby, Low Dm Flute by JP Gomez. 4. Opaline – Fm Black Walnut Flute by JP Gomez. 5. Rondo – Gm Blue Ponderosa Pine Flute by JP Gomez. 6. Cisne – Low D Flute by JP Gomez. 8. Ana Bahibbik – E Mid-East Scale Flute by Russ Venable. 9. Cantinela -“Deep Blue C” Flute by Steven DeRuby. 10. Ruby’s Love – F# Babinga Flute by John Stillwell. 11. Twilight in Tulum – Generic Pan Flute, “Deep Blue C” Flute by Steven DeRuby, Conch Shell by Peruvian Shaman, Don Francisco. 12. Cita – F# Yellow Cedar Flute by Colyn Petersen. 13. Querida – F#m Yellow Cedar Flute by Colyn Petersen. Fender Nashville B-Bender Telecaster Guitar. Vocals, Bill Leyden. I am happy to announce the release of “In Another World.” This New Age album is filled with lush, orchestral melodies, exotic, subtle rhythms and accents made on the Native-American-style flute. I find the completed collection to be ideal for meditation and healing; I think you will too! I’m not particularly superstitious, but in the coming years, I may take a little more notice of Ghost Month. 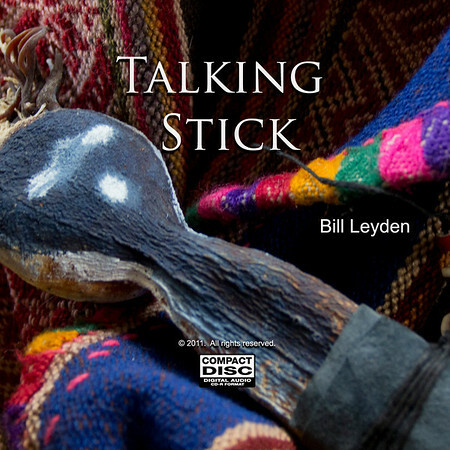 I was minding my own business recording improvisations on the Native American-style flute for this album. Then along came the 7th lunar month -July and August this year (2012). I took a short road trip during which every appointment was suddenly rescheduled out of the month. I started to think that the Ghost Month advice may have some merits. When I returned home to Arizona, disappointed by the drop in personal productivity, I attempted to salve the feelings by getting out the Fender Stratocaster guitar and recording some musical passages. The recordings would eventually find their way onto the “Faded Splendor” track. I tried adding strings (violin, violas and cellos) — and the whole album shifted. The melodies became more lyrical and complex. One track followed another in quick succession until the album was a collection of compositions, rather than a series of Native American-style flute improvisations. When I was done, I knew that I had crossed a threshold (into another musical world) through which I may not return. Next year, I will be less inclined to ignore Ghost Month and more apt to pass it with a wink and a smile as I compose. I hope you enjoy the tracks. They will be available for download first on Bandcamp, and later on iTunes and the usual download services, including Amazon.com. 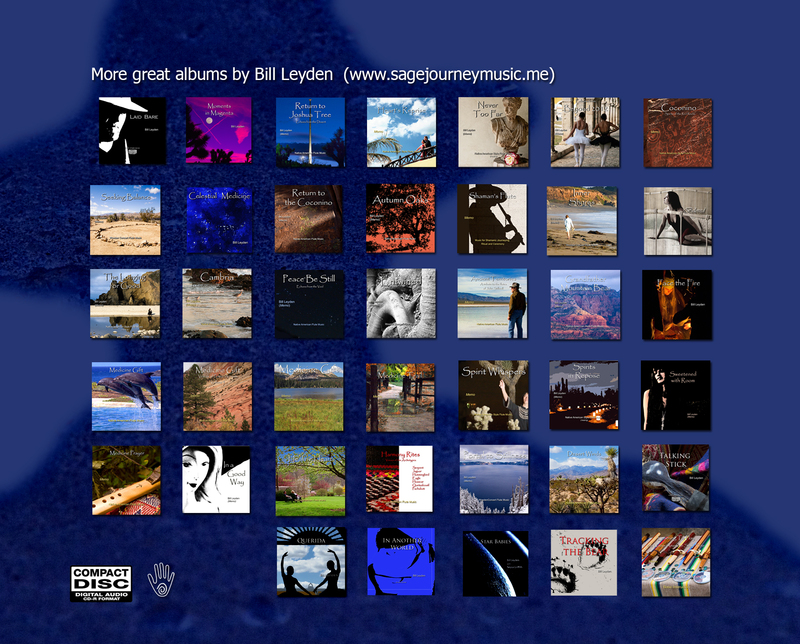 All tracks © 2012 by Bill Leyden. All rights reserved. It’s in the AppStore ! What a great way to keep informed about new songs featuring the Native American style flute. It’s FREE and painless! I decided to put the title track of this album-in-progress as an exclusive download on ReverbNation. I have become a big fan of ReverbNation – it’s a great venue for artists to share. If you click on the “Tracking the Bear” song link it may ask you for your email (don’t be afraid), and you’ll be able to hear the track in its entirety months before the album is ready. Anyway, I am going to stop telling myself that I am going to take a break from recording; every time that I do, I find myself right back in the studio. I think it because the music seems to act as my aural diary – tracking what I am doing and feeling from-day-to-day. We smile in my family when my brother takes his annual vacations from Europe to visit us. I think he does this in August because that is the month that they close France! Over the years, as my brother has worked in Africa, I think he has developed a personality that I describe as ‘percussive’ (at least, that’s my take on it). An intelligent man, fiercely loyal to his family, my brother has (as we all do) certain pecadillos. Among these are his distrust of all taxi drivers, a European resistance to tipping and a compelling desire to expound on the state of American politics. (He has my gratitude for resisting this latter desire in my presence). As I get older, on the other hand, I search for stillness and an absence of percussion. So when my brother left to return to France this year, I was contemplating our relationship; he as the bear or dragon – and I as the rabbit. And I headed again for the recording studio with the irreverent working title of ‘Pokin the Bear,’ which I quickly discarded in search of another. I settled instead on ‘Tracking the Bear.’ And the music began to manifest with mysterious background sounds which I interpreted as the bear’s cave. The first track starts out with the rumbling of a large, cavernous space. The rumble is broken by the breathy trill from a Native American style flute made for me by Geoffrey Ellis of Earth Tone Flutes. The musical textures evolve invoking a celestial mood and then to a seductive percussion with cascading melodies. I pulled a Fender American Standard Stratocaster into the track for a couple of twangs. I hope you enjoy listening to it … you are listening to my diary.